Fat Tire & Friends: Fat Pale Ale... 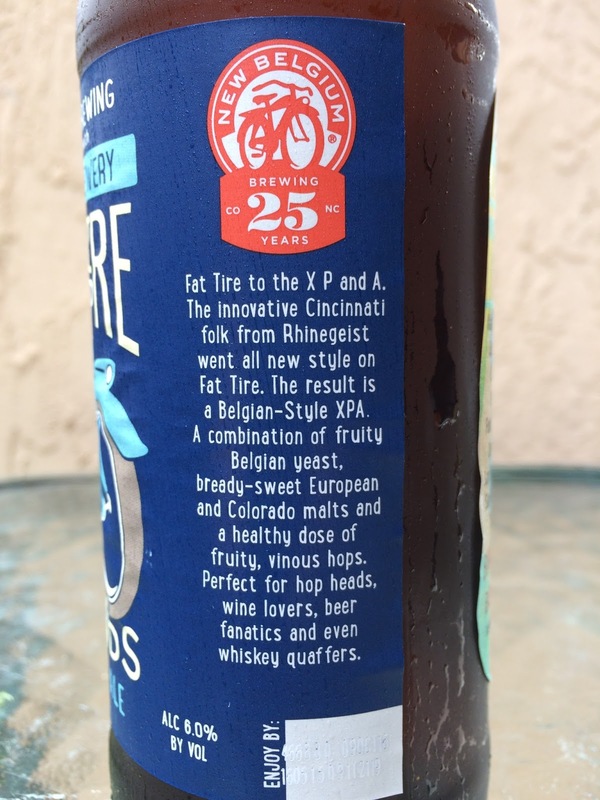 This New Belgium's collaboration beer with Cincinnati's Rhinegeist Brewery. 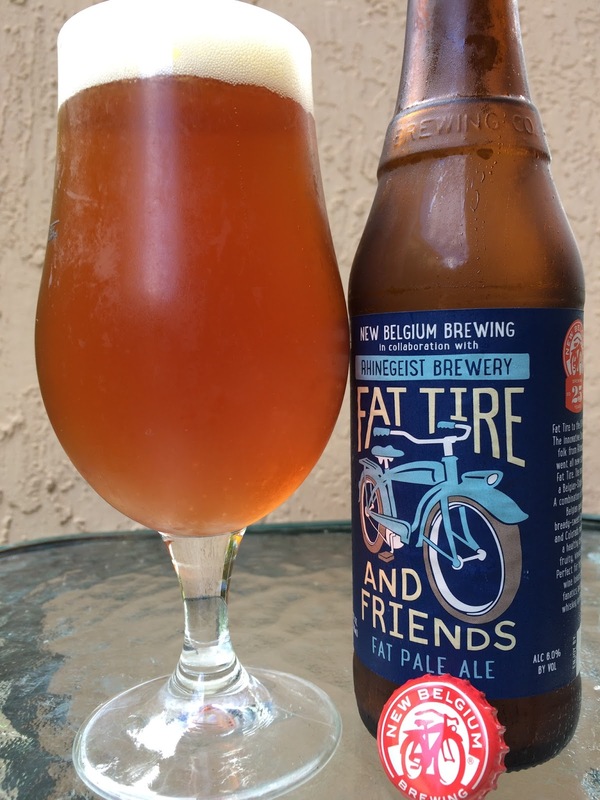 I thought a simple Pale Ale deviation from their regular Fat Tire wasn't that creative, at least as an idea. But the story to the side of the label informed us to expect a Belgian-style XPA, setting expectations. 6.0% alcohol. Fruity and spicy, with some Belgian yeast noticeable. Fruity orange flavor comes first. Spicy with some yeasty bready character. Nice bitterness, lightly acidic, prickly spiciness and carbonation. Dry at the finish. Pretty nice and full of character for a simple style. I liked it! Guess I should send my expectations on a vacation!